Online coupons for all-natural, antioxidant-rich Cheribundi tart cherry juice are now available from CommonKindness.com, the free online coupon service that helps shoppers do something good for others while saving money. Coupons for Cheribundi are now available on CommonKindness.com. CommonKindness enables us to get behind the organizations and causes that are important to our customers. Cheribundi has joined CommonKindness.com in its efforts to create a new sustainable funding source for America’s nonprofit organizations. The healthful all-natural drink company has posted free printable grocery coupons for its tart cherry juice beverages on CommonKindness.com. Each coupon saves the shopper money on their Cheribundi purchase, while generating funds for their favorite charity. CommonKindness.com is the grocery coupon website that donates 20 percent of its coupon redemption revenues to nonprofit organizations shoppers designate when they print out and redeem coupons from CommonKindness.com. Tart cherries contain more powerful phytonutrients than other “superfruits,” such as pomegranates, acai berries, grapes, or blueberries. The cherries used to make Cheribundi are harvested at the peak of ripeness and flavor, which also captures the bright cherry color. Cheribundi was developed in association with food scientists at Cornell University as a convenient, all-natural, grab-and-go sports recovery drink. The company supports the farmers who grow their cherries and perfected a proprietary juicing process that retains all of its benefits. Each 8 ounce bottle of Cheribundi is packed with 50 cherries. 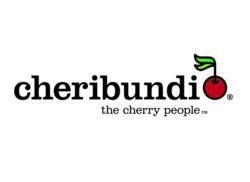 Cheribundi—the most widely distributed brand in fresh cherry juice—was created by food scientists at Cornell University, who not only uncovered the benefits of tart cherries, but also developed a proprietary juicing process so all the cherry-goodness and nutrients could be delivered in a great tasting juice. To learn more, go to Cheribundi.com or call (800) 699-0460. CommonKindness.com is the new free grocery coupon website that operates on the principle of kindness and benefits consumers, nonprofit organizations, and brands. CommonKindness.com is revolutionizing the online coupon industry by eliminating coupon loading and change costs, charging brands only for coupons redeemed, and giving 20 percent of revenues to nonprofit organizations of the shopper’s choice. CommonKindness empowers shoppers to save money and help others.